If you saw my 'Recent Makeup and Beauty Buy's' post a while back you may have spotted that I finally managed to pick up the MAC Brush Cleanser that I have been lusting after for so long. 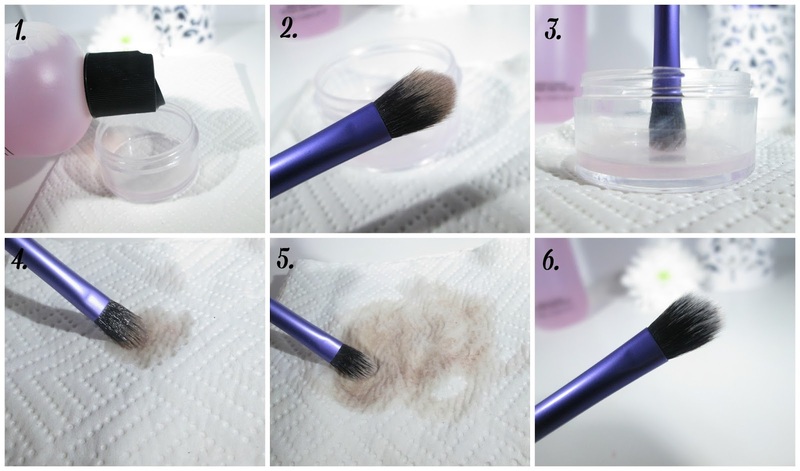 The reason for me buying the brush cleanser was simply because I was fed up of deep cleaning my makeup brushes all the time when sometimes all they need is a little spot clean. Don't worry girlie's, I do deep clean my brushes often with baby shampoo or antibacterial washing up liquid to get rid of any bacteria and any nasty's lurking in my brushes he he. 1. Firstly I pour a small amount of the brush cleanser into an old plastic container, you can use an old cup of glass. 2. Uhhh yukky, dirty brush. 3. Dip your makeup brush bristles into your cleanser, you don't need submerge your brush, just the tips of the bristles and keep your brush facing downwards at all times as you don't want any brush cleanser running down the brush ferrel as that can damage the bristles. recommend using kitchen towel for this job instead of toilet roll/tissues as they are too thin and just tear and you will end up with fluffy bits of toilet roll stuck to your brush bristles which would be so annoying. 5. Then just swirl your brush onto the kitchen towel in circular motions and watch as all the makeup disappears from your brush onto the kitchen towel. Remember... don't push your brush down to hard when doing the circular motions as you can damage the bristles and they may not go back to their original shape. 6. Voila... All you have to do now is leave your brush laying flat to dry. Overall I'd highly recommend treating yourself to a bottle of MAC's Brush Cleanser, it's only £10.00 for 235ml's and will clean, disinfect and condition the brush fibres so that your brushes will last longer. 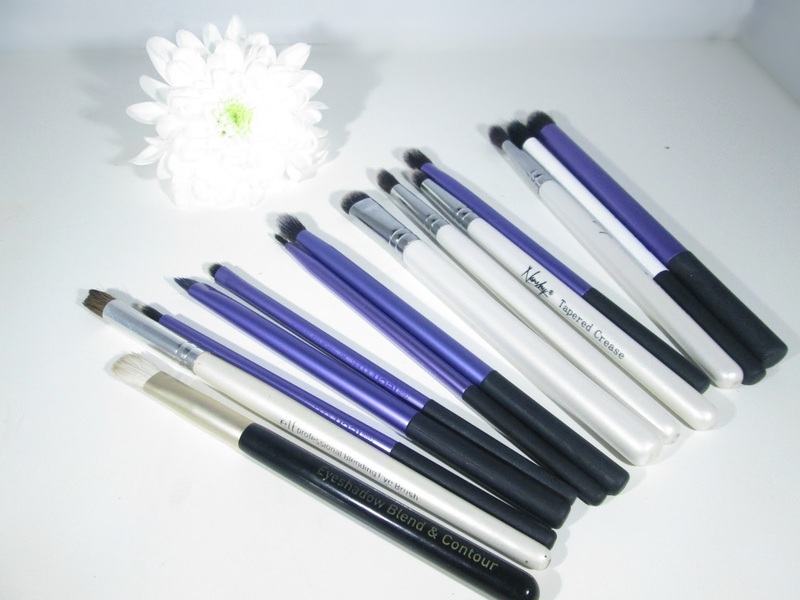 It's so convenient and easy to use, it shortens your brushes drying time and certainly makes my life alot easier. 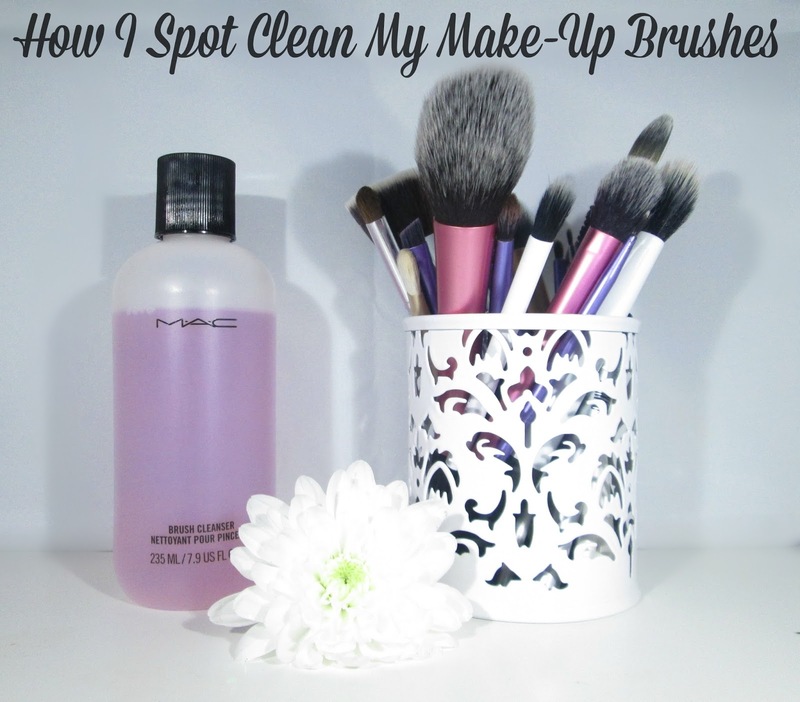 How do you spot clean your makeup brushes beaut's?? 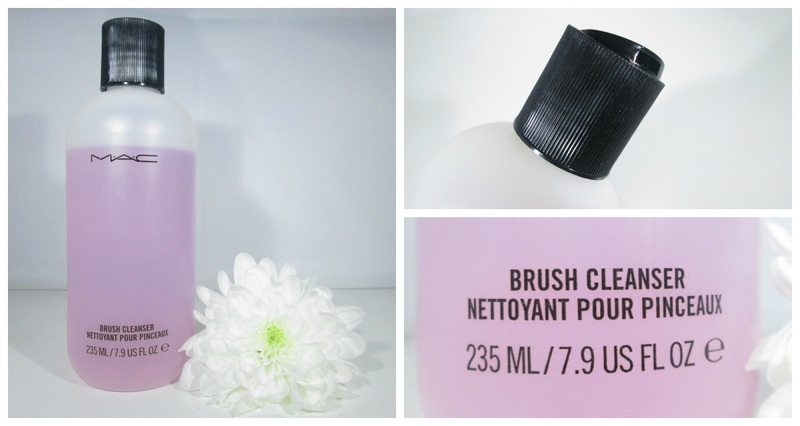 Have you tried MAC's Brush Cleanser?? I'd love to know! I never use brush cleansers because a lot of the time they actually contain nasty stuff that will either rot your brushes or make the bristles not so soft…but it does look more convenient than using baby shampoo! This looks very good. I have never tried it, I must invest! I use MAC's cleaner but I attach a spray pump to the bottle so that I just spray the bristles and then wipe on a baby wipe. Helps the cleaner to last longer and is less wasteful for me.